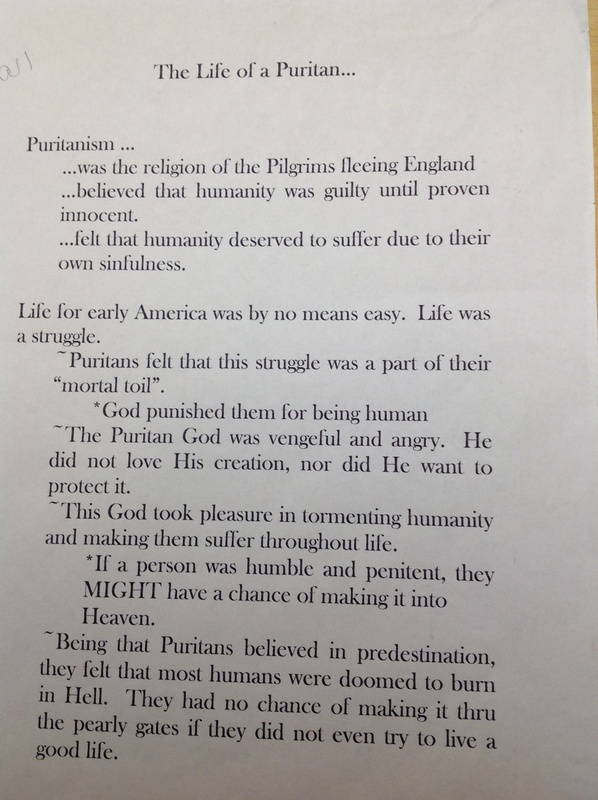 1) The Puritan settlers relied on God's mercy for the success of their expedition. "The Landing of the Pilgrims"
"I Become a Transparent Eyeball"
Transcendentalism Final Essay - final draft due February 28th, by 4pm. No exceptions! Please note that textual excerpts are located in the 11th grade anthology. 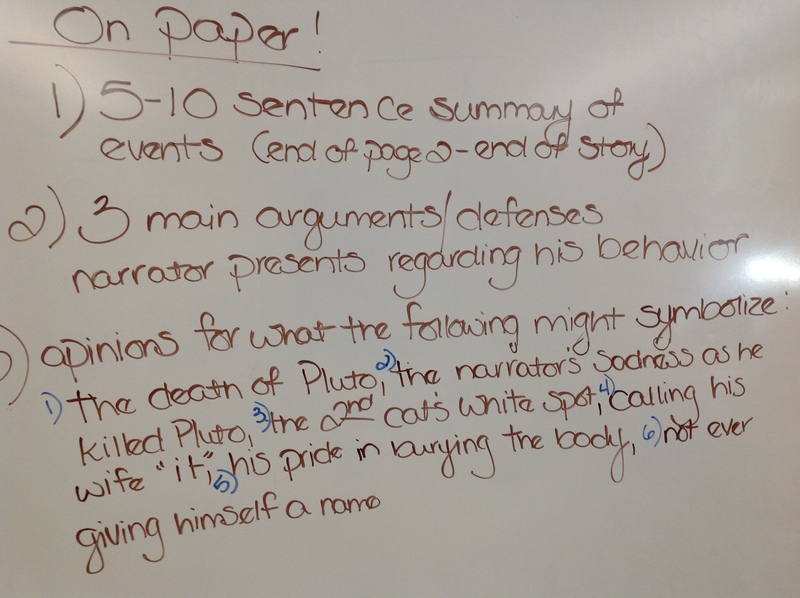 "Black Cat" Group Notes - use these prompts to create one page of analysis notes to submit per group. *Poe uses the narrator in his short story, "The Black Cat", to question the notions of "sane" and "insane". You may access a copy of The Great Gatsby electronically if you do not have a copy of the book available at home. Be warned, there are no pages numbers on the digital text, so you will need to scroll until you find where you left off reading. Be sure you are well prepared to take the final exam! Students who were enrolled for the entire semester will be given a comprehensive exam that covers ALL the material for the semester. Students who were enrolled for a term will only be tested on the material for the second half of the class. You may use this study guide to help you prepare for the exam. Students will be allowed ONE page of notes of their choosing on the day of the final.